Want to know the top “tried and true” method to landing your dream clients? Here’s why. 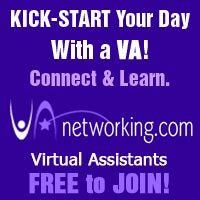 Very rarely will someone hire you as their virtual assistant – especially if your VA services are priced on the higher end – without first getting on the phone with you. And that goes both ways. You should not agree to work with a new client without first getting to know them better. The reason this is so important is because your prospective client wants a chance to get a feel for you and to ask you any questions they may have. It also gives you a chance to do the same thing, and to get a feel for them, their personality, what they are looking for in a VA. You’ll also people able to judge if they are actually serious about working with a Virtual Assistant. An average consult call is about 20 minutes. Set a timer if you have to so you don’t get stuck on the phone longer than necessary. Twenty minutes is ample time to let you (and your prospective client) feel things out and make a decision as to whether or not you’re a good fit to work together. I wouldn’t let it drag out any longer than 30 minutes. Tell the prospect that you have another call scheduled after so that they can’t keep you on the phone forever. Sometimes people just want to pick your brain. Another reason a free consultation call is a good idea for your Virtual Assistant business is because if someone is on the fence about hiring you, you can land the sale during the call. You’ll be able to answer their questions and show your expertise in that little amount of time on the phone. What would it mean for you if you were able to find a solution for this challenge? 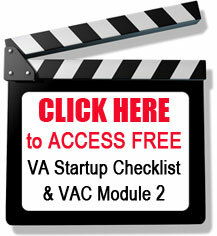 How do you think a VA can help you better achieve your goals? These are just a few ideas of things you should ask a potential client. And maybe these are things you don’t even ask on the phone, but in a pre-consultation call questionnaire. You can set up a questionnaire using a program such as Jotform, it’s free to use. 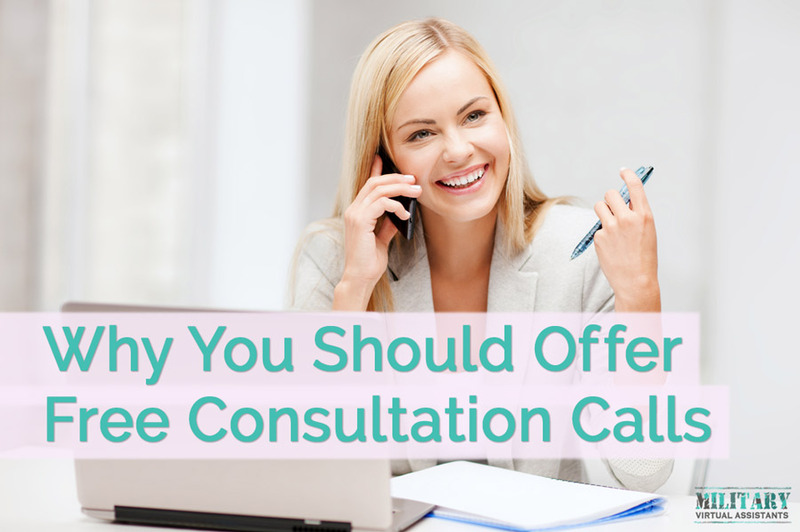 Of course there are also a few cons to offering free consultation calls. There are those people out there that are what’s known as freebie seekers – they take all the free information they can get but never turn around and invest any money. In fact, these people normally have absolutely no intention of ever working with you. Another con is the fact that you’re giving away 20 to 30 minutes of your time. It may not seem like much but a 20-30 minute chunk of time here and there can add up pretty quickly. Does this mean you shouldn’t offer free consultation calls? No, because they can be very useful. You just need to ensure that you’re not attracting all those freebie seekers with no intention of hiring you. One way to prevent this is to have a consultation questionnaire that gets filled out before you even schedule a consult time. 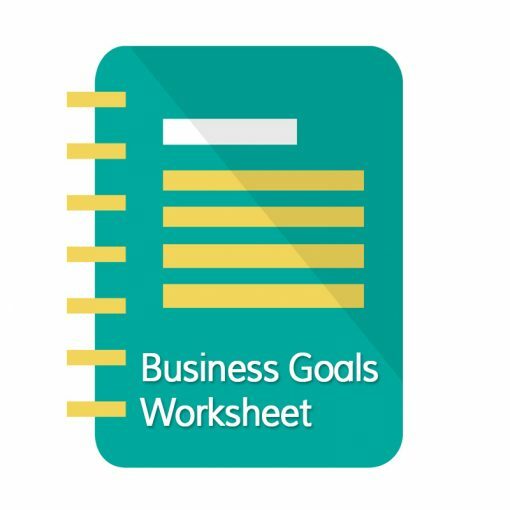 Find out some basic information first – how long they’ve been in business, how much money they make, etc. This will weed out the freebie seekers and those that can’t afford you saving you from wasting both your time and their time with a free consult call. You’ll find that a lot of people won’t even complete the questionnaire. To sum it up, the main objective of a free consultation call when you set one up is for both your prospective client and you to feel each other out and see if working together is a good fit or not. As a military spouse you may be traveling to different parts of the world which could make having consultation calls more difficult. That is why I have a Skype plan, it’s $2.99 a month and I can call landlines in Canada and the US. I even have it set to show my actual phone number when I call people so they don’t even know I’m using Skype. It’s unlimited so I am able to make as many calls as I want. You can also get plans to call other parts of the world for a little extra money. Do you offer free consultation calls? Make sure to advertise it on your website so prospects see it.